No, I'm not giving away more goodies from Polish 'M. Sorry! 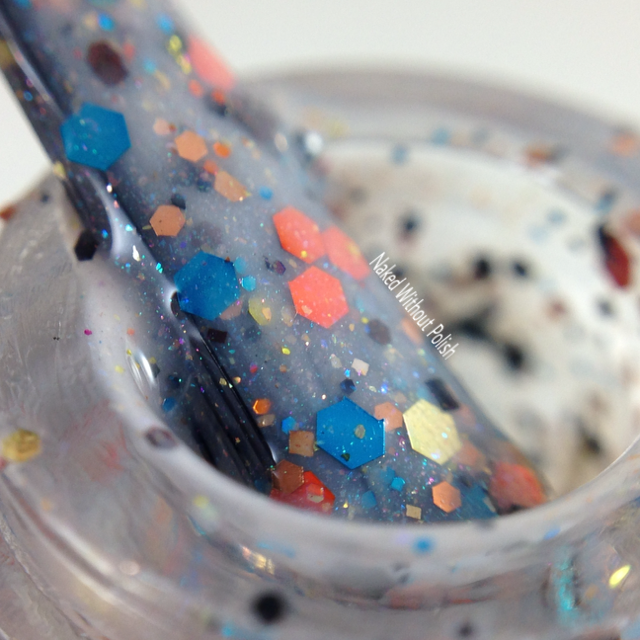 I just have more beauties to show off to you before today's giveaway since I didn't have anything new from Poetry Cowgirl Nail Polish to show you all. 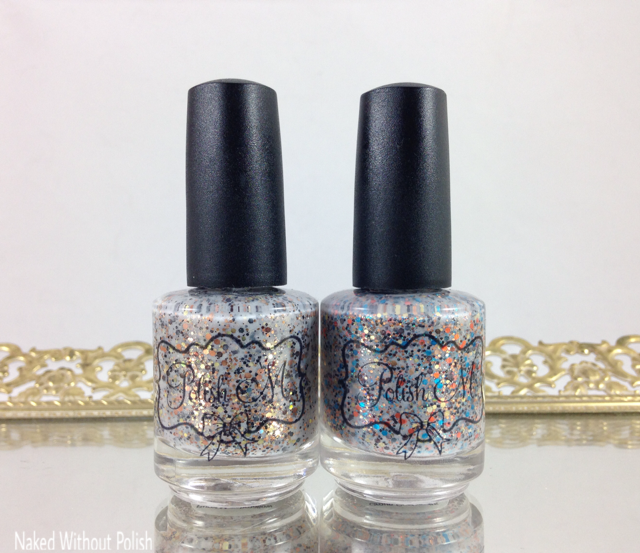 However, a friend was able to snag these two beauties from Polish 'M when I was unavailable during a restock a while back. I tell you what...if you're a crelly lover and you haven't bought any from Polish 'M you're missing out on an incredible brand. Just you wait and see. 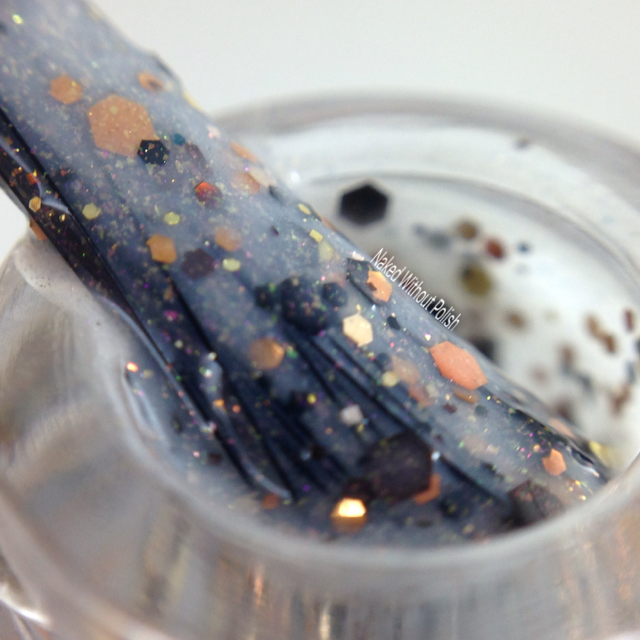 Group Custom #5 is a taupe crelly base filled with matte black, brown, sky blue, turquoise, and coral glitter in multiple sizes, and metallic gold, bronze, and copper glitter in multiple sizes, and scattered with a dusting of holo and iridescent shimmer. Shown is two coats of Group Custom #5 with top coat. 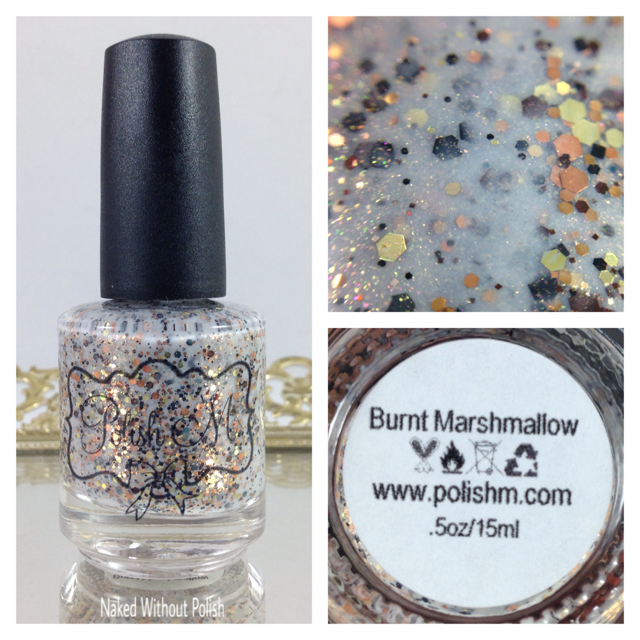 Burnt Marshmallow is a taupe crelly with matte black and brown glitter in multiple sizes, and metallic copper, gold, and bronze glitter in multiple sizes, as well as a gold shimmer. Shown is two coats of Burnt Marshmallow with top coat. Both of these were incredible and had a smooth application. Neither are available anymore as they were special limited edition. But Polish 'M makes high quality, unique, beautiful products. There is no way you can go wrong with any of her polishes. 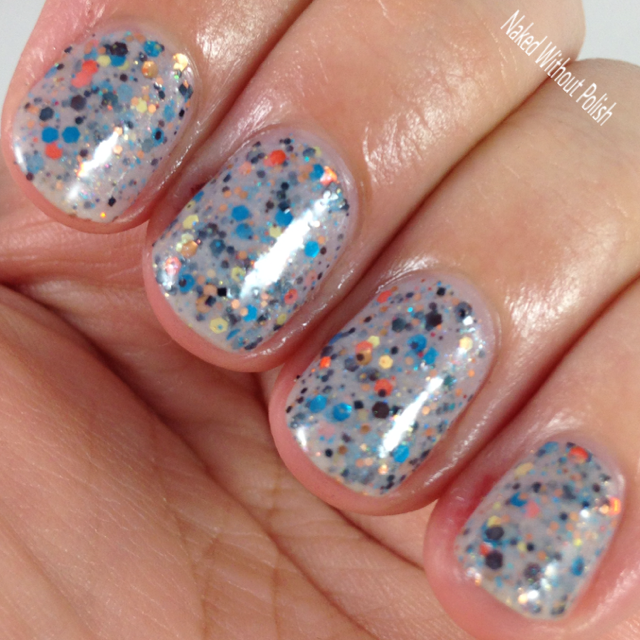 You definitely need to look into Polish 'M if you haven't yet. You've already missed enough. Trust me. I was late to the game and know exactly what I missed now, and I regret it. 2. You must be a resident of the United States. 4. Giveaway will run from 12 am EST on 12/19/2015 through 11:59 pm EST on 12/19/2015. 7. Prize will be mailed directly from the provider within 1 week after prize is claimed. 8. This giveaway is not affiliated with any social media platform. 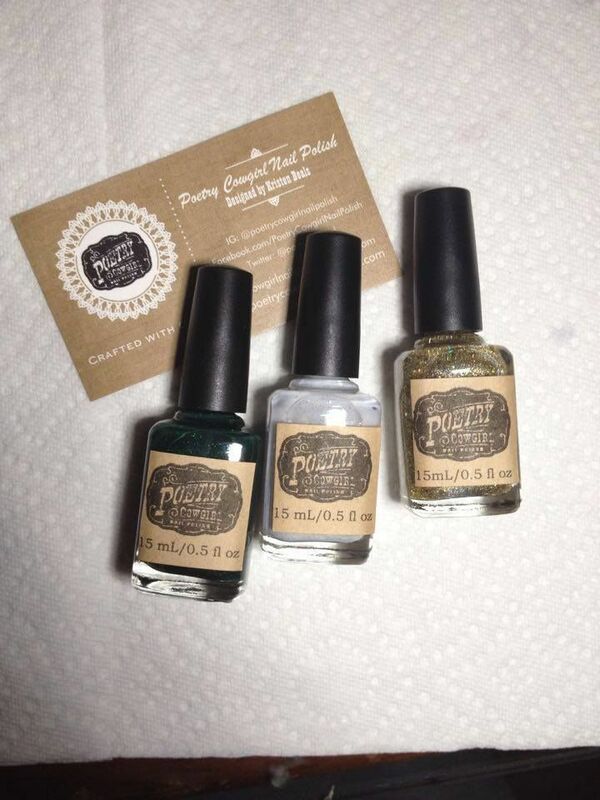 To see swatches of these three, visit http://www.manicuredandmarvelous.com/2015/11/poetry-cowgirl-nail-polish-holiday.html.